Last week, as you may have noticed, I did a lot of galavanting. Usually I don't travel much for work, but for some reason last week took me straight from New Orleans to DC back to Nashville via plane. 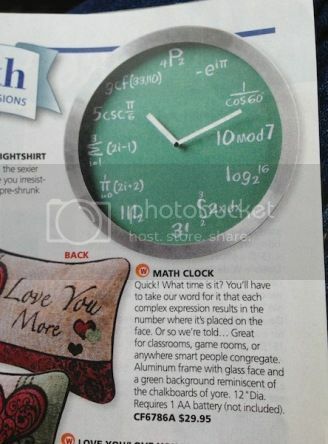 This also means [drumroll please...] SKYMALL COMMENTARY. Aw yeah, you guys. It's that time again. In what universe is killing a squirrel a sign of brawn, particularly to the extent that one would display this accomplishment on the wall for all to see? Even in West Monroe, Louisiana, this would be unacceptable. Phil Robertson just kills squirrels because he's bored during a pet photoshoot with Mrs. Kay and her terriers. No one is impressed. I mean, okay, we're impressed with Phil, but even he wouldn't display a squirrel on his wall like it's something to brag about. And this particular squirrel looks like his soul is lurking behind those resin eyes waiting for revenge. They even included the ARMS, for goodness' sake. I'm no hunter--in fact I think I would be the opposite--but in my limited experience with mounted taxidermy trophies, I have never seen half a deer sticking out of a wall. Faux dead squirrels should be no exception. It's just creepy. 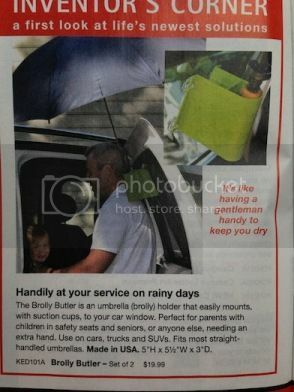 For the person in your life you would do anything for...except hold an umbrella while they strap in the kids. What time is it? I DON'T KNOW, okay, mystical clock? Why all the mind games? Who needs this kind of stress in their lives? This is like the opposite of a digital clock. 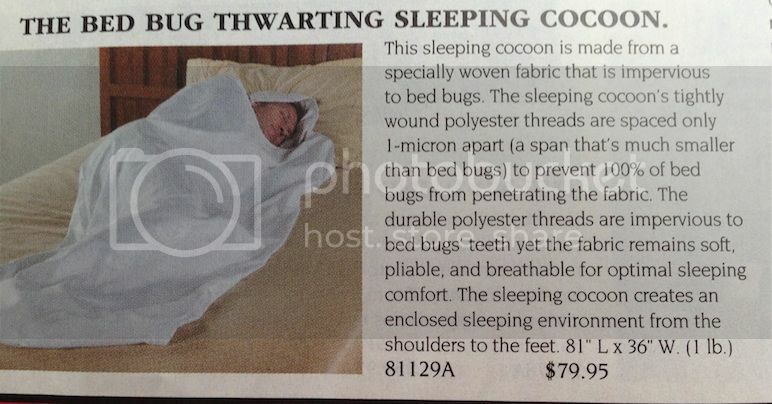 What's a bed bug thwarting sleeping cocoon, you might ask? It's that thing where your paranoid neighbor wraps himself in an impenetrable fabric sac at night so as to prevent bed bugs from sinking their little teeth into him as he sleeps. Did you know bed bugs have teeth? 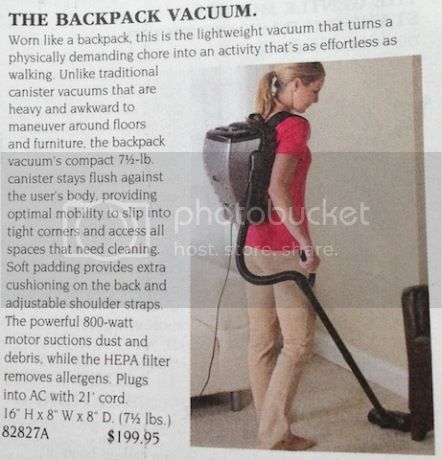 Well, you do now, thanks to SkyMall. I don't know about you, but I don't appreciate their scare tactics. Also weren't bed bugs a thing like three years ago? Wasn't it kind of like an anthrax type deal? I could be wrong. Just…no. 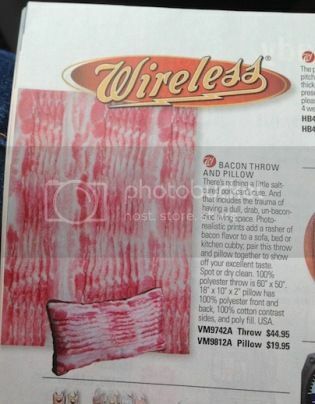 This whole bacon thing is really starting to grind my gears. It's like, okay, it was cute and ironic for like 4 minutes, but we're done here, y'know? 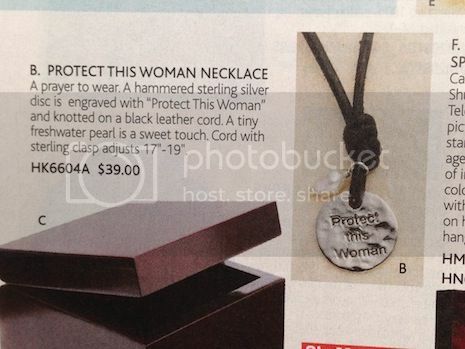 I imagine this necklace would be worn by someone in a movie like National Treasure or Eagle Eye and the necklace would serve as instructions for the protagonist and a clue to the overall plot. She may or may not be a love interest but would most definitely be dragged around against her will throughout the entire film. So these shoes are for...clumsy hippies? 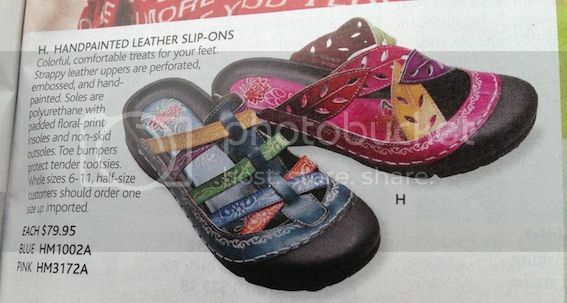 Seriously--toe bumpers? I mean I am clumsy but not once in my life have I thought to myself, "man, I really wish these shoes had toe bumpers." Oh and also they are the ugliest things I've ever seen. And cost $80. This is technically an ad on the back of the magazine, but I just couldn't not comment on it. First of all, is or is not that blonde girl plotting to kill the American girl singing karaoke in French because she secretly loves the dumb guy in the middle and thinks American girl is stealing him away from her? Is it a love triangle and this rando ginger is just happy to be there, blissfully unaware of the situation? 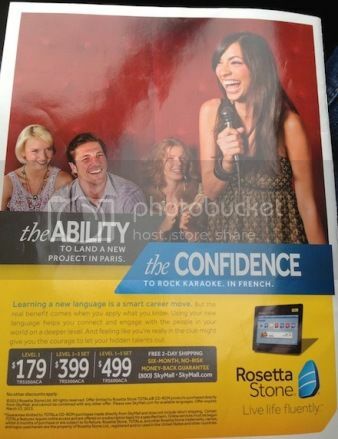 And why is this girl SO ecstatic about singing French karaoke? I get the feeling she laughs like Fran Drescher or Janice from Friends. Ugh. This kind of thing is why they hate us. 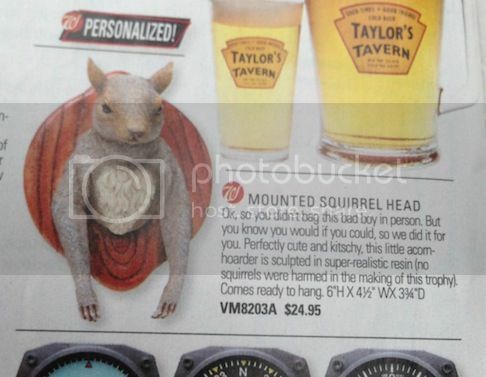 What's the worst/best thing you've seen in SkyMall? Do you have any other observations about these items I missed?